If you love the great outdoors, you should find your way to Cedar Park, located just northwest of Austin in the Texas Hill Country. This thriving community of 60,000 offers easy access to the beautiful Lake Travis and the astounding Balcones Canyonlands National Wildlife Refuge, two of the most popular places to visit in the Hill Country. You can also savor some of the region’s scenic beauty by train with the Austin Steam Train Association, which has a depot in the middle of town. Cedar Park is also home to professional minor league basketball and hockey teams that play their games at the H-E-B Center at Cedar Park. These are just some of the attractions in Cedar Park that will make your time here truly memorable. Read on to learn more. Austin Spurs is a successful NBA Developmental League team owned by the San Antonio Spurs. The team plays its games at the H-E-B Center at Cedar Park from November through April. Tickets to each game can be purchased on the team’s website. Hop aboard a steam train and ride through the scenic Hill Country with the Austin Steam Train Association. There are a variety of fun rides to go on, including a Super Hero Flyer and a Princess Flyer for the kids and a Wine Flyer for the grownups. Departure schedules and ticket purchases are available on the Austin Steam Train Association’s website. The Balcones Canyonlands National Wildlife Refuge is a sprawling natural area that is located north of Lake Travis. Endangered birds such as the golden-cheeked warbler and the black-capped vireo, as well as a host of other animals, call the refuge home. Visitors can spot some of this wildlife from one of the nature trails and observation decks within the refuge, which is open seven days a week from sunrise to sunset. The H-E-B Center at Cedar Park is a state-of-the-art sports and entertainment center that hosts Austin Spurs basketball, Texas Stars hockey games, concerts, and community events throughout the year. 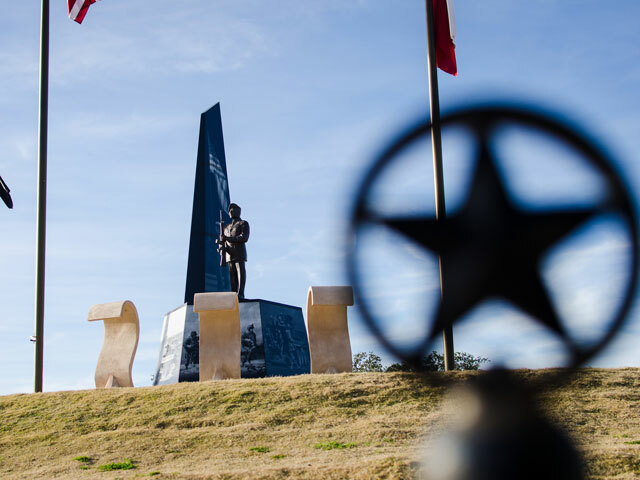 Cedar Park’s veterans memorial commemorates the service of all those who are current or former members of the military. A 22-foot-tall black granite obelisk sits atop a base that has panels honoring the different branches of the military. Savor unbeatable birds-eye views of gorgeous Lake Travis on a one-of-a-kind zip lining adventure. Soar across five different zip lines, including a 2,000-foot line that takes you all the way across Lake Travis, making it the longest zip line in Texas. The Texas Museum of Science and Technology features activity-based exhibits meant to teach visitors about physics, chemistry, biology, robotics, space technology, and much more. A rotating set of world-class traveling exhibits are usually on display at the museum as well. Cedar Park is also home to a minor league hockey team – the Texas Stars, an affiliate of the NHL’s Dallas Stars. The team plays its home games from October through April at the H-E-B Center at Cedar Park. 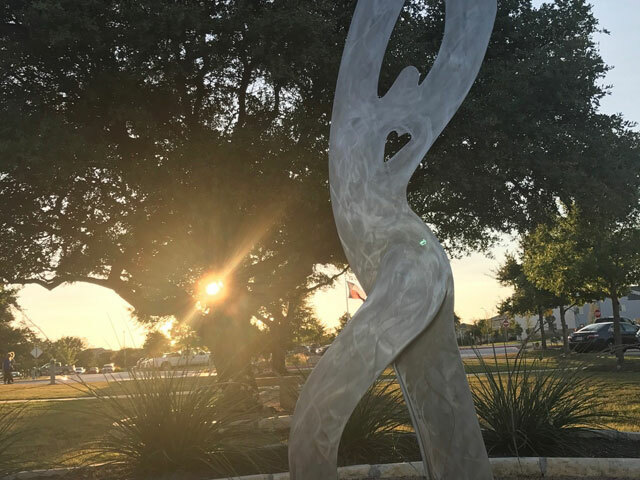 The Sculpture Garden in Cedar Park, located next to the Cedar Park Recreation Area, features a rotating selection of sculptures produced by Texas artists. Most of the works on display are on loan from the artists themselves and are available for purchase.